Found 29 holiday villas in Dubai. 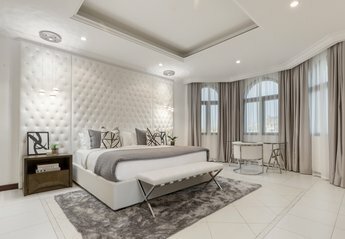 Located in the renowned manmade Island of Palm Jumeirah and tastefully furnished with a warm luxurious interior design touch, the newly added 4 bedroom beach villa plus furnished maid's room. This beautiful 2 bedroom apartment is located at the heart of Dubai Marina. Strategically located close to the Dubai Metro and the Dubai Tram, you have the rest of Dubai within your reach. This property can sleep a maximum of 8 persons. It has 4 bedroom/s and a single bed/maids room with 3 Double Bed/s and 2 Single Bed/s. We found 29 holiday villas in Dubai. Other developments including Emirates Hills and Arabian Ranches are set more inland away from Dubai’s coastline. Set amidst championship golf courses and prestige private clubs (perfect for golfing holidays). These luxury holiday villas in Dubai offer easy access to on-site facilities yet are private enough for when you want to unwind and relax.